The portable non-magnetic design allows the 3880 to operate safely in a 30,000 gauss magnetic field without the need for a heavy roll cart used by traditional MRI monitors. The MRidium 3860+ MRI IV Infusion System meets the demanding clinical needs of today's patients, by allowing continuous delivery of medications within the MRI suite. The iMagox 2460 MRI Pulse Oximeter system features Masimo® SET technology for continuous SpO2 monitoring before, during and after Magnetic Resonance Imaging. Are you part of the MRI IV problem or solution? Every hospital and clinician has special requirements when sending their high acuity patients to MRI. What is your practice for anesthesia delivery and critical care patients needing IV infusions and monitoring? Is your MRI Monitor cumbersome & expensive? The days of needing a large heavy and expensive MRI monitor are over. 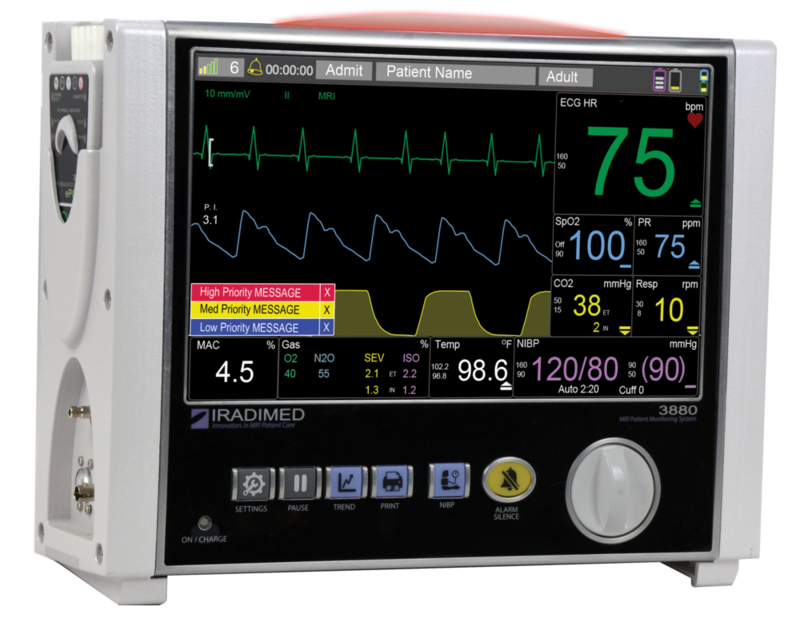 IRadimed is introducing an entirely new Non-Magnetic MRI patient monitor concept which provides vital sign monitoring for complex ICU and anesthesia MRI procedures. 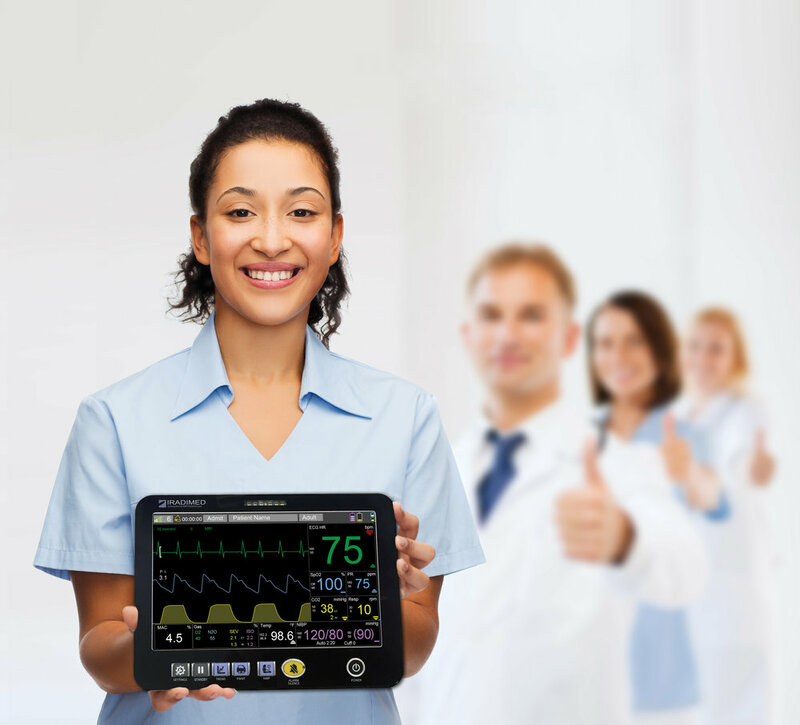 This small, cost effective and portable MRI patient vital signs monitor allows for true continuous monitoring during the entire MRI patient care cycle. See if you qualify for a discount on any of our products or services.